Join Certified Whisky instructor Alex Chang, The Whisky Steward at the Kismet Cowork – Spring Arts location to celebrate this time honored favorite the best way possible, exploring all things Whiskey! Throughout the evening explore the whiskeys of America, Ireland, Scotland, Canada and Japan and try different varieties including Bourbon, Scotch, Irish and Rye. 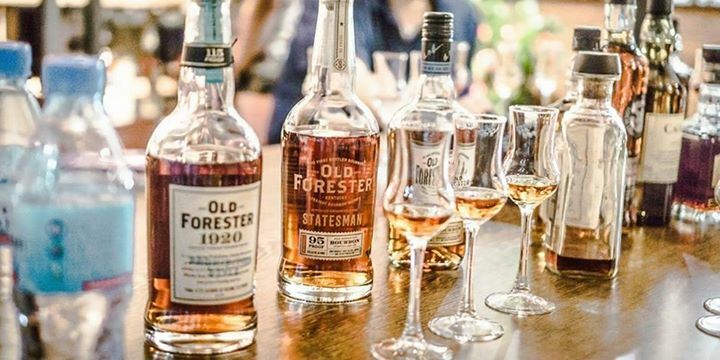 Whether you prefer whiskey or whisky, let a Certified Whisky Instructor show you the wonderful differences as you sample approximately 8 different selections. There will be light fare served during the class. Alex Chang is the first Certified Whisky Ambassador Instructor in Pennsylvania and has been officially assigned by the Whisky Ambassador Programme in Scotland to be a course instructor. He is also a Certified Executive Bourbon Steward of the Stave & Thief Society & Moonshine University. The program is recognized as the official Bourbon Certification of the Kentucky Distiller’s Association. Alex also has his World Masterclass of Whisky certificate, Wine & Spirits Education Trust’s WSET Level 2 Spirits and his Fundamentals of Distilling certificate from the Institute of Brewing and Distilling. Lastly, he heads the Philadelphia Whiskey Society and is also the founder of the Taichung Whisky Society in Taiwan giving him a global perspective on whisky.